The special counsel Robert Mueller is reportedly looking into contact between UAE officials and Rick Gerson, a New York hedge fund manager and a close friend of White House senior adviser Jared Kushner. Gerson was reportedly in the Seychelles around the same time as a meeting previously reported as set up to establish a secret back-channel between Trump and Russia. Mueller’s interest in Gerson contributes to his investigation into whether the UAE sought to influence White House policy in its favour. As the special counsel Robert Mueller investigates foreign influence on President Donald Trump’s campaign and the White House, a new player has come under scrutiny. According to NBC News, Mueller is eyeing Rick Gerson, a New York hedge fund manager and a close friend of White House senior adviser Jared Kushner, as he investigates whether the UAE sought to influence White House policy in its favour. Gerson’s significance in Mueller’s probe stems from his presence at or proximity to several key meetings involving Trump associates. Gerson was in the Seychelles in early 2017, around the time that informal Trump adviser Erik Prince met with Emirati officials – including Crown Prince Mohammed bin Zayed Al-Nahyan, known as MBZ – and a Russian investor tied to Russian President Vladimir Putin on the island. It has been previously reported that the meeting was for the purpose of possibly setting up a secret backchannel between Trump and Russia. George Nader, a Middle East adviser who was at the meeting, is now cooperating with Mueller. While Gerson was not at the meeting, NBC News reported he met separately around that time with the crown prince and also communicated with Nader. His spokesman told NBC News Gerson was in the Seychelles, but was not involved with the meeting. Sources detailed Gerson and Nader’s communication over WhatsApp in early 2017 to NBC, where they agreed to meet in the Seychelles and discussed Gerson’s relationship with Kushner. Gerson and Nader first met at a secret meeting with the crown prince at a New York Four Seasons hotel with other Trump officials, four people familiar with the meeting told NBC News. 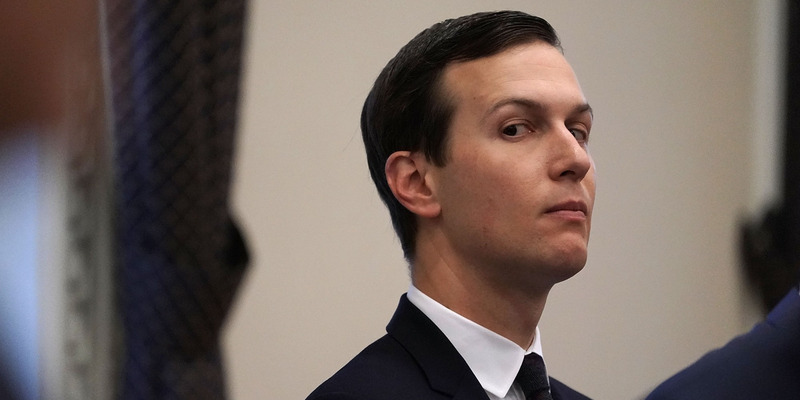 Kushner, UAE’s ambassador to the US Yousef Al Otaiba, Trump’s former national security adviser Michael Flynn, and former White House chief strategist Steve Bannon also attended the meeting. Gerson’s spokesman declined to say whether he has been personally contacted by Mueller.